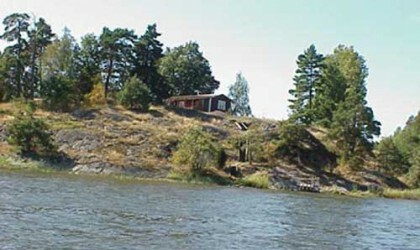 Do you want to rent a cottage in the archipelago.? Then you have found the right place, here you can rent nice modern cabins, all with lake views and great service. On Ljuskön you find balance in life through the silence of untouched nature, sound of the wind and the waves from Slätbacken and songs of birds and gulls scream. There is freedom, peace and nature experiences with Sea eagles and wildlife, and domestic animals like calves, sheep and horses. The season 2019, starts on May 4th and ends October 12th. Ljuskön (pronouced “Yeskoen”) is an old farming and fishing ground near the archipelago of Sweden’s “blue coast”. 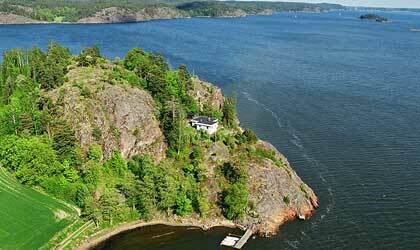 It is situated on the Slätbaken peninsula between the canal lock of Mem and Stegeborg. The nearest towns are Söderköping (15 km west) and Norköping (23 km north). The area is about 124 acres lage and consists of almost “wild” nature, mixed forest that invites to many beautiful walks and also plenty of fields and meadows. Out here in nature you find our detached cottages for which we chosen the best locations offering you splendid views over the Baltic Sea, and which distinguish themselves from stereotypical holiday villages. If you wish, you can hire rowing boats or boats with engines of us. In Dalby Bay you may find a sheltered beach suitable for children. 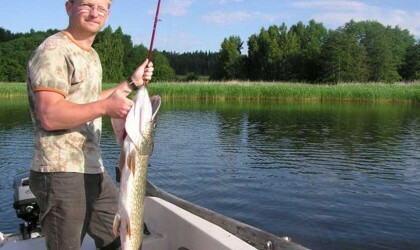 For anglers, there are great opportunities for a good fishing in Slätbacken and St. Anna archipelago – a paradise for Pike- and Pike-pearch anglers. Slätbaken offers exellent fishing grounds and those who have a lot of patience and a little luck might catch some perch, pike, pike-perch or even salmon.